Emulating the masters of old school rock ‘n’ roll, Love Stallion are a hard rock band, with all the glitz and flamboyance to prove it. Originating as a trial experiment, via a momentary creative surge, resulting in their first track, ‘Big Rock Radio’, outside a venue in 2013, the founding members, duo Aaron Hart and Crayton Huntley (a.k.a. Rob Mclemore) performed their debut gig on May 1st, 2015, at The Walnut Room, Denver, to an intimate gathering. Influenced by 70’s and 80’s rockers David Lee Roth, Freddie Mercury, Van Halen, Kiss and Def Leppard, the guys brought a new member (Aero X – oka Aero Marquez) on board, just as their audiences grew, with their live appearances. Soon, their energised gigs and glam look became renowned. On June 2nd, 2018, their track, ‘Unforgettable Drive’, produced by Steve Avedis (Tony Bennett, NSYNC), at Colorado Sound Studios, was released. Their debut video single, ‘Slow Release’, came out in March 2018. It hit number 1 in the IndiMusic TV charts and number 4 on iTunes Canada Rock Charts. It’s follow-up, ‘Big Rock Radio’, has been charted on the Airplay Today rock charts, through which, it’s also had radio play. Their current single and video, ‘Valentine’, launched in January 2019, after acclaimed shows, opening for Steel Panther, LA Guns, etc. 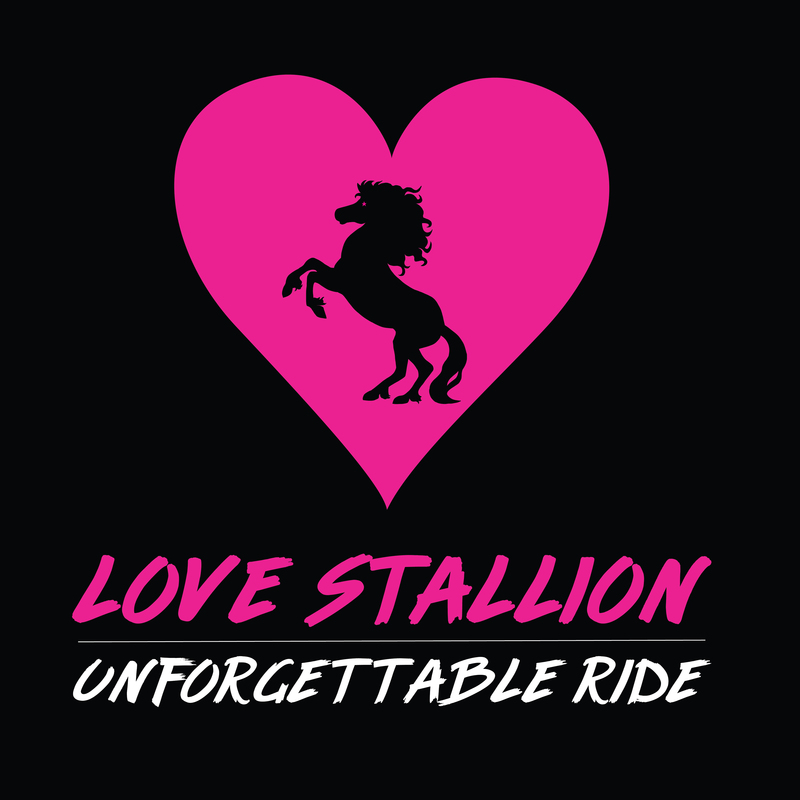 Love Stallion are currently promoting their album, ‘Unforgettable Ride’. Slow Release – Drumstick click intro, leading smoothly into a classic old school R&R sound. Definitely very glam, from the off. Vocals surprisingly soft, in places, but still managing to hit the mark. Something of an effortless air to it. Everything just blends and synchs, in that traditional rock ‘n’ roll way. Good start. Ignite The Night – Similar intro, with a very slightly heavier touch on percussion. This is very resonant of Poison’s ‘Nothin’ But A Good Time’. Softer rock emphasis than there could be, but musically, it’s a decent performance. Good vocal harmony in the finale. Big Rock Radio – Riff intro, placing a very slightly edgier spin on it, though it’s still a smaller sound than it has the potential to be. Again, the performance skills are unarguably capable. The rhythms, melodies, lyrics and delivery are all very typically classic rock. They convey the meaning well. It’s much like being transported back in time. Seamless track, ending with a well-placed drum finale and the vocal strength remains. Hide Me Away – Coming straight in again, with a heavier sound, this time, much more like the glam rock of old. Quite an easy rhythm and melody here. It’s got the kind of lyrical sentiment easily accessible to most and it just glides forward, with ease. Very light-hearted vibe about ‘HMA’. Tinker Toys – Opening with a louder drum hit and a heavier feel, but soon reverting back to the vocal gentility that sometimes seems just a little out of place within an edgier accompaniment. They do show hints of grit in places, but are generally, just inherently softer than expected in a sound attempting to be rocky. Bizarre theme for this track, too. The musical competence is still indisputable, however. Valentine – A slower fade in, pushing the song out and into a melancholic sentiment. Oh no, this is the kind of Valentine no one wants to hear. It’s at this point that the opportunity to create a genuinely upbeat, rocky song is wasted, in place of sadness and gloom. Some forms of emotional projection within rock music are just inadvisable. This is one. High Time – Thank rock for that! A nice uplifting intro, much more like the kind of rock that passes for listenable. While it may seem derivative, it’s still a relief, does contain some slightly bluesier aspects and features some feminine vocals, adding a much needed edge. Actually, this gets better and better and would definitely be my choice of repeat listens, amongst the rest. Trans Am – Car wheels skidding intro. Right into a plainly rockier sound, with a much more well-defined edge, but still, those vocals are just a little lacking in natural rock authenticity. Well played riff melodies and the timing is spot on. One or two good traditional arrangements and a riff scale here and there, adding that harder flavour, but it could have done with that from the start. Overall – ‘Unforgettable Ride’, whilst displaying some aptly glam rock sounds and clear enthusiasm for the same, comes across as much more soft rock/easy listening rock and whilst borrowing much from the classic bands of the glam rock era, just rocks a naturally softer sound. Performance wise, no issue at all. LS are strong and proficient musicians. Largely, though, the vocal style and presentation of many of the tracks just aren’t suited to the heavier sound they’re trying to convey. It doesn’t excite. The passion is there, but in terms of a hard rock sound, the authenticity isn’t. For fans of Poison, The Eagles, Rush.